Cameras built into the refrigerators will keep an eye on your food, letting you finally use the power of the cloud to access snapshots of your groceries. But more importantly, Microsoft’s technology will also be using those same photographs to automatically generate a list of your refrigerator’s currently-stored groceries, which is especially useful information when you’re creating your next shopping list (for which Liebherr has also created an app). Microsoft’s data scientists have already trained their grocery-recognizing algorithm using millions of different generic food products, using algorithms from the company’s open source Computational Network Toolkit (CNTK). 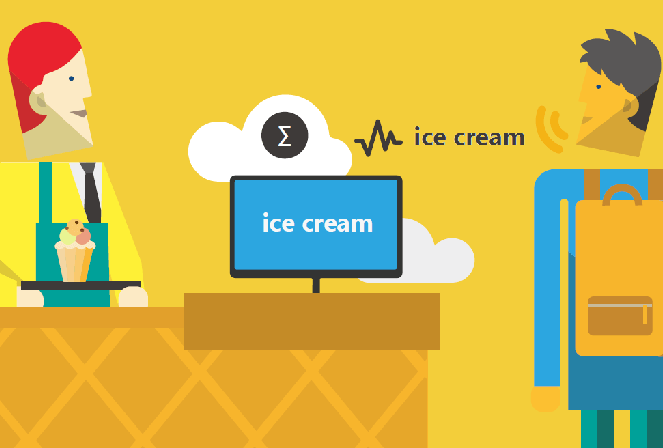 “[T]he Microsoft system can learn to recognize new types of objects – milk cartons, ketchup bottles, pickle jars and much more – from example images…” explained Microsoft’s “Machine Learning and Cortana Intelligence” blog. “Although the current system is a prototype, the deep learning technology it uses is already very powerful and rapidly maturing,” the site explained. Samsung had actually shown off a similar device in May, which came with a massive touchscreen built into the door — and a MasterCard app that lets you order fresh groceries right from your refrigerator’s door (or from an app on your smartphone). 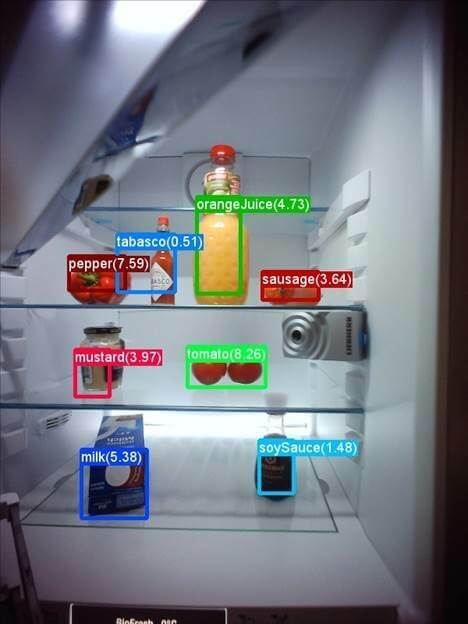 It also had cameras built into the refrigerator door, which could display images of what’s inside the fridge on the door. Of course, it also runs all the standard tablet apps — so you can listen to music through Pandora, watch videos, or even draw a picture on your fridge’s door using your fingertips. And it even responds to voice commands. But the commenters in Reddit’s technology forum imagined a more dystopian future. Fridge: “Hi! It looks like you’re running low on milk? Would you like me to order some more for you? Microsoft Philanthropies sponsors “Code Trip,” a TV documentary series where young/female/minority coders draw inspiration from technology leaders across America. A look back at Amazon’s very first employee. Lessons from a 45-year study of supersmart children. Artist-in-residence gets stuck on bankrupt container ship that no port will accept.